Crystal clear waters, beautiful blue skies and white sandy beaches. Need we say anymore? Cancun is a fantastic destination to unwind and relax whilst soaking up the gorgeous Mexican sunshine. This trip is the perfect combination of chilling on a beach and a bit of culture. Stay at one of our handpicked properties in Riviera Maya, an ideal base to both relax and to explore the nearby ruins of Chichen Itza and Tulum. Fly into Cancun where your driver will meet you to take you to your hotel. Relax for a couple of days enjoying the hotel facilities and spending time on the beach. 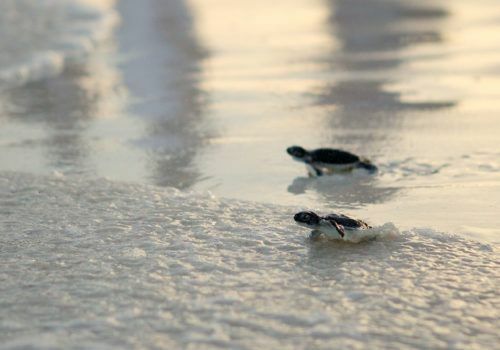 If you’re lucky you may even find some turtles that you’re able to swim with on your hotel’s beach. 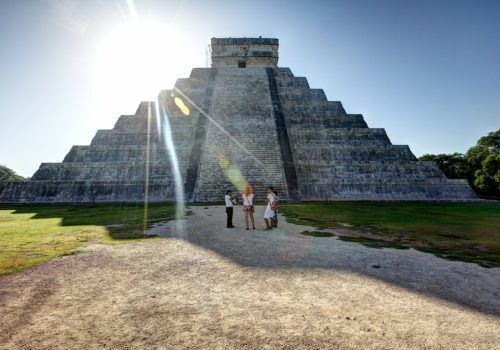 Today you will be heading to Chichen Itza which has been named one of the New Seven World Wonders. Chichen Itza was once one of the largest and most influential Mayan settlements and has been beautifully preserved. 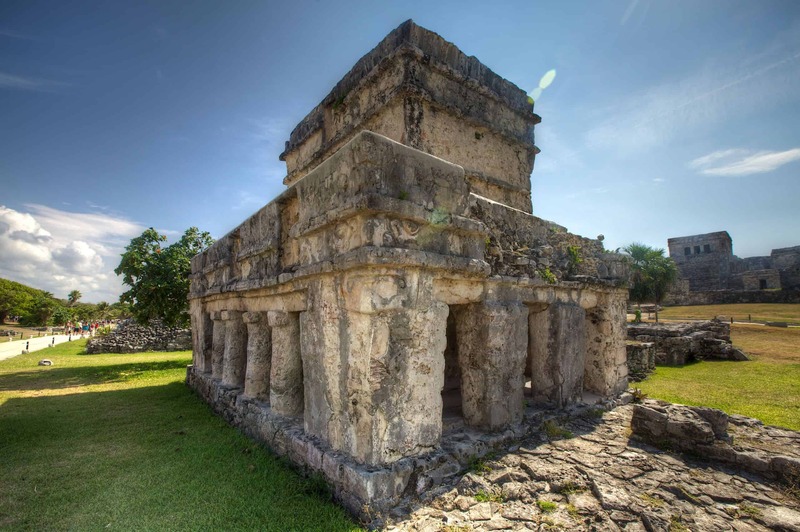 Whilst there, visit the Temple of Kukulkan, the Ballgame Court, the Platform of the Skulls, the Temple of the Jaguar, the Observatory, the One Thousand Columns, and the Sacred Cenote. Cool off from all the walking with a swim in a nearby cenote! 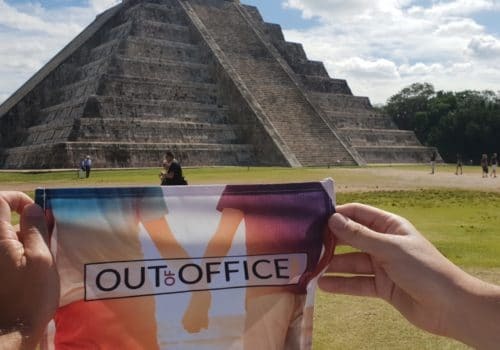 You will then head back to Cancun for the evening. After a delicious breakfast at the hotel, you will be taken to Tulum, which is the only beachfront Mayan ruin areas in Mexico. 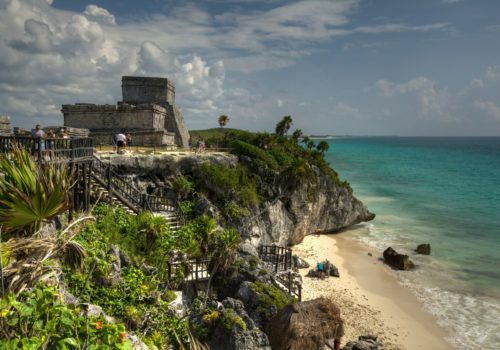 The Tulum ruins date from the 13th century and overlook the sea. You’ll find a watchtower and a temple as well as further inland the Coba archaeological site which has pyramid-shaped temples. After a guided tour around the ruins, feel free to take a dip in the sea or lounge around on the beach. Enjoy the rest of your time in Riviera Maya by relaxing by the pool or on the beach. For those who want a bit more adventure, head to the island of Isla Mujeres. Take a boat trip to Garrafon National Park where you can enjoy many water sports and activities on offer. Snorkel and discover the tropical sea life below the water. Head out in a kayak or, if you’re lucky and it’s in season, then try swimming with dolphins.